View the training via WEBCAST (taped October 24, 2017) on your device at a place and time convenient to you. You will be emailed access instructions within 1 business day. 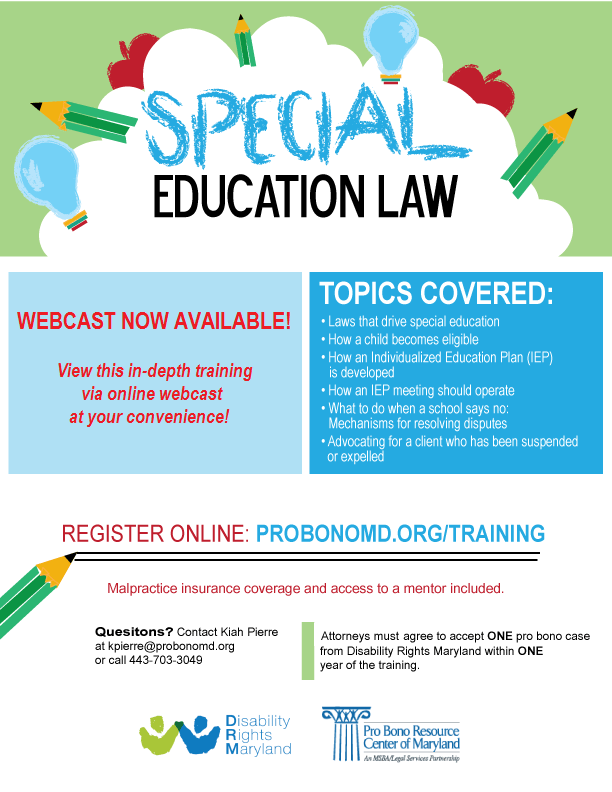 This training for lawyers will cover the laws that drive special education, how a child becomes eligible, How an Individualized Education Plan (IEP) is developed, mechanisms for resolving disputes, and advocating for a client who has been suspended or expelled. Participating attorneys must agree to accept at least 1 pro bono special education case from Disability Rights Maryland (DRM) within 1 year of registering.